Archive your photos and videos and experience your memories again and again. MAGIX Photo Manager helps you maximize your photo and video collection. Edit, sort and organize your photos and videos with ease. View and organize RAW files or enjoy videos in AVCHD format. 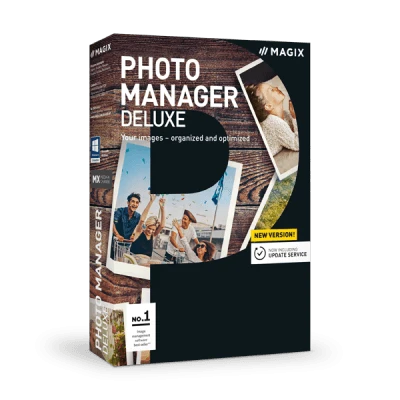 Photo Manager Deluxe supports all conventional photo and video formats. Support of original camera formats (RAW formats) offers more flexibility when image editing. You can find photo material with different themes, animations, background music and sound effects in the Catooh Online Media Catalog. This is highly recommended when exchanging your images over the Internet. You can then burn photos you haven't already backed up to CD or DVD. Recover accidentally deleted files with a few clicks thanks to auto backups of your image database.